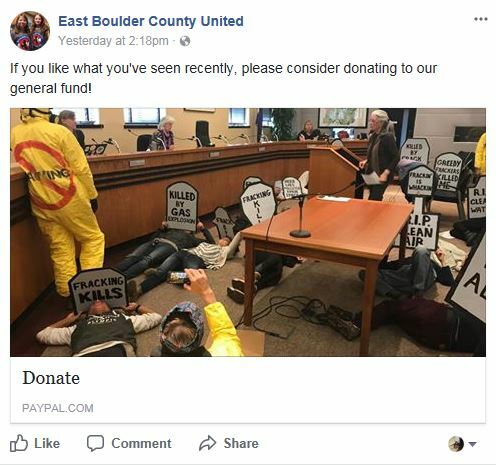 Tone deaf “Wrong Door” anti-fracking activist group East Boulder County United (EBCU) teamed up with the Boulder County Protectors (BCP) for a staged “Die-in” at the Boulder County Commissioners (BCC) meeting earlier this week. If you haven’t heard of a “Die-in” before, as strange is it seems – this is actually a common protest tactic used by “Keep It in the Ground” groups. 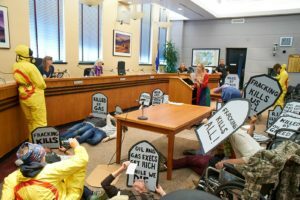 Many of the protesters donned their “anti-fracking” hazmat suits, a wardrobe repeat from the infamous “Wrong Door” protest, while others held grave markers while sprawled out all across the floor of the BCC hearing room. 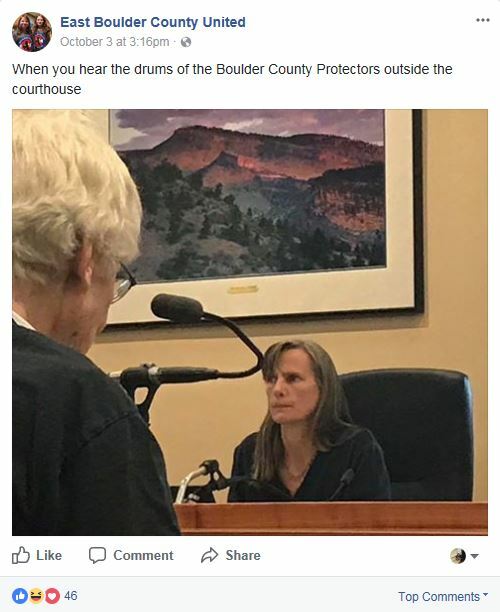 The “faux Elise Jones” who made her debut at the “Wrong Door” protest in September, made an encore appearance as the opening act before the anti-fracking activists put on their “Die-in” performance inside of the BCC hearing space. 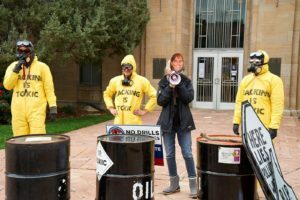 Energy in Depth recently surfaced the growing schism occurring within the anti-fracking movement in Boulder; the once-praised Jones is now on the anti-fracking group’s political hit list. Even progressive outlets like Colorado Pols have taken note of the anti-fracking cannibalism happening in Boulder. Following the “Wrong Door” protest, Jones told the Times Call, “we all object to fracking,” and though she is on message, these anti-fracking groups continue to cast her out. This week’s tone deaf sideshow comes fresh off of the heels of last month’s “Wrong Door” protest, further adding to the anti-fracking groups’ repertoire in tasteless and embarrassing local theater.